Cubiex: Get 100 free CBIX tokens from the eSports dedicated platform! Thank you, Sasha, for letting me know about this coin airdrop! Cubiex aims to connect 400 million gamers worldwide on a decentralized blockchain-powered social network and to create a crypto league for eSports. Users can find friends, connect with them and participate in their unique Crypto Battle League. With P2P matchmaking between single players and teams, every gamer can now generate income by placing tokens directly against another opponent and fight for the prize pool. Additional features within the social network such as content creation and live streaming will be monetized through a unique upvoting system. Cubiex is the first social network of its kind that enables gamers, content creators, and passive members to interact with each other and use an instant messaging chat app to stay in touch and plan their gaming activities. Cubiex decided to remain blockchain agnostic, to guarantee the best possible services to its users. In order to offer services on their ecosystem, without running into scalability issues with the ethereum blockchain, Cubiex has a dual token model. While the ERC20 CBIX tokens grant access to the ecosystem, within the ecosystem all transactions are handled by the POWER tokens, off-chain. And for further details, take a look at their white paper. How to get free CBIX tokens? Participating in the Cubiex Airdrop is very easy. First of all, you need to register an account on their platform, by clicking on this link. And you just need to fill in an email address and your password – no email verification. So you can connect right away. Each time, make sure to fill out your username, so they can track your participation. Finally, click on the submit button. And you’re done! Nex, you can check the dashboard in the coming weeks, to see if their bounty campaign is live. And you can receive more free CBIX tokens for completing the given tasks. Cubiex Airdrop Tokens will be distributed to all participants after the Token Generation Event. 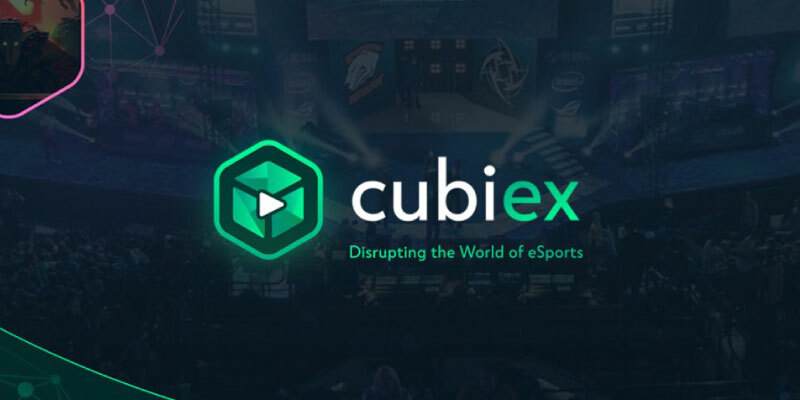 Cubiex is a decentralized blockchain-powered social network and a cryptoleague for eSports. And they want to connect 400 million gamers worldwide. Join now!